FORS is launching its latest free toolkit for FORS members. 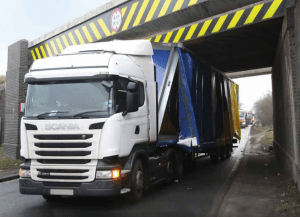 The new ‘Bridge Smart, Prevention of Bridge Strikes Toolkit’ includes a short, interactive eLearning module, as well as a guidance document for both managers and drivers. The online eLearning module which is aimed at HGV driving staff will also benefit transport managers and supervisors. It is available via the eLearning dashboard or alternatively a group delivery pack can be requested if online learning is not suitable for operators. The ‘Bridge Smart, Prevention of Bridge Strikes Toolkit’ provides detailed, yet easy-to-digest, practical measures on reducing incidences of bridge strikes, while at the same time offering procedural advice should a bridge-related incident occur. Toolkit guidance exists for improving driver knowledge, to provide examples of best practice and for internal communications resources. The Bridge Smart eLearning module is part of the safety suite of eLearning modules. It is now one of the options available to meet the work-related road risk requirement under ‘Bronze D4 Professional development’ that stipulates that one FORS Professional safety eLearning module must be completed within the past 12 months. Other safety eLearning modules are: Cycle Safety, Van Smart and Smart Driving. From 14 January 2019, the Security and Counter Terrorism eLearning module will no longer be part of the suite of safety eLearning modules. To access the free toolkit, please click here. To log in to eLearning, click here. The new toolkit is part of a series of free FORS toolkits available to FORS members covering all aspects of safety, efficiency and environmental protection. Click here to access all free toolkits.